February 15- Valentine's Day Party. Teachers will send home information about their class party. 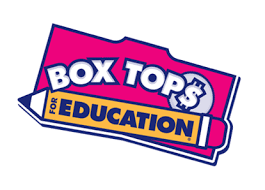 Box Tops: Clipping Box Tops is an easy way to help earn cash for our school. Each one is worth 10¢ for our school! Just look for the pink Box Tops on hundreds of products. All you have to do is clip them and send them to school. Hat Day: First Friday of the Month. Pay a $1.00 and get to wear a hat in school. The money will be donated to various non-profit organizations.